Help for Cambridgeshire parents: Need someone to talk to? Caring for a child or young person with additional needs or disability is tiring and, in a big county like Cambridgeshire, can be extremely isolating. Pinpoint offers help for Cambs parents – including support, information and a chance to improve local services. 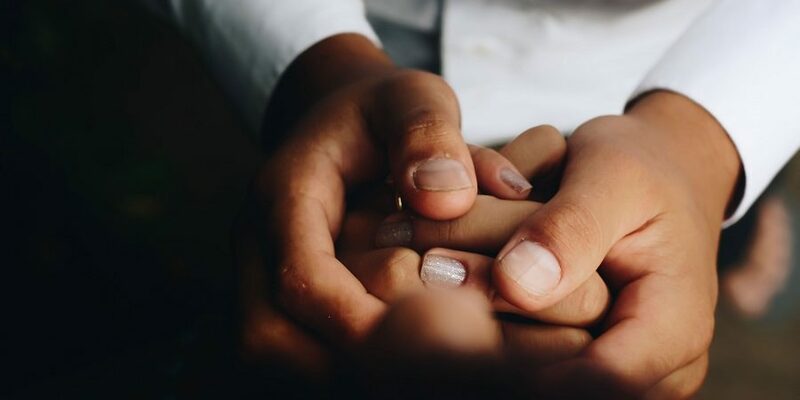 One of the main ways Pinpoint can help is to connect you with other parent carers who are in a similar situation to you. Our support group section has details of parent carer groups across the county. You can search for parent groups in your region and by need, although many groups welcome parent carers of children with all needs, disabilities and ages. Difficult to go out and get to a support meeting? How about a facebook group so you can connect online outside 9-5 to another parent carer who understands just how tough times can be – and can support you with advice, contacts and information as well. Monthly parent groups for parents and carers who have children with ADHD and Autism – with or without a diagnosis. Here you will find lists of other organisations who might be able to help you. Contact the Pinpoint team and we can help. We’re parents ourselves – our children have additional needs too. We’re here to help, so please call or email us. Here are our contact details. 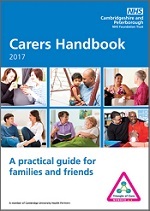 The 2017 Carers Handbook, published by Cambridgeshire and Peterborough NHS Foundation, offers practical information for carers, families and friends. There’s useful information about your role as a carer, your rights and carer assessments. Plus contacts for local groups who can offer you advice and support. 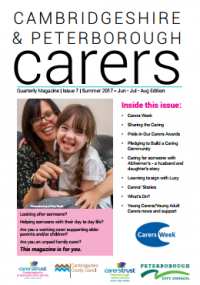 Carers Trust Cambridgeshire publishes a quarterly magazine for Cambridgeshire and Peterborough carers. It includes information for parent carers and useful contacts.